Combining a mix of textures is very popular for kitchen and bath remodeling – especially in all white spaces where the extra elements can add much needed interest. For those seeking a more modern look, textured laminate cabinets are a great choice. These cabinets are not only gorgeous, but are much easier to maintain than stained or painted surfaces. 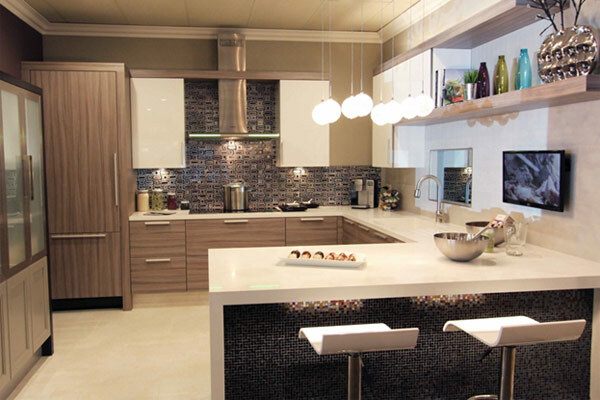 Take a look at this kitchen below, and notice how the combination of textures captures your attention.